Asphalt 8: Airborne is a Racing game by Gameloft it’s a part of Asphalt series. And now it’s time for u to download Asphalt 8 for PC in your PC. This asphalt series is available for Android, IOS, Windows 8, Windows phone 8 & Blackberry only. Unfortunately Asphalt for PC it is not available For Windows 7/XP/Vista. 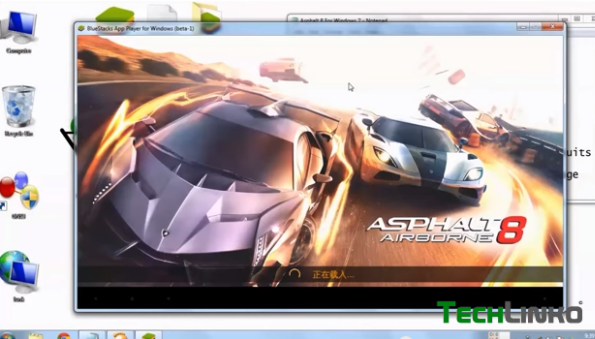 In this Guide I will Show u how you can play asphalt 8 for PC using an Android emulator Called bluestacks. This game has an average rating of 4.6 From 1.5 million users, for its dynamic, high-speed aerial stunts in an intense driving experience powered by a brand-new physics engine! 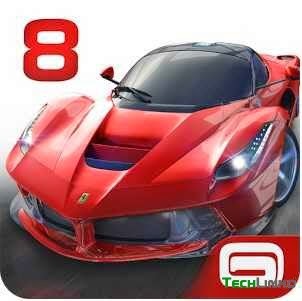 In this racing series this asphalt 8 is the best compared to any other previous versions. Features of Asphalt 8 for PC. This Racing game has the luxury collection of cars in the numbers of 47 high performance cars, which are top licensed manufacturers like Lamborgini veneo, Bugatti Veryon, Ferrari FXX. The best feature of this version of asphalt is U can perform barrel rolls and wild 360º jumps. And also has the air and pull stunts while racing. This version of asphalt 8 has 8 seasons & 180 events in carrier mode that’s impressive. Stunning visuals like detailed damage system. And this Asphalt 8 for PC has infected and drifts gate game modes. Multiplayer & Ghost challenges are marvelous u can simultaneously play with up to 8 real time opponents, compare scores leader boards with friends and drivers around the world. 3) Copy Asphalt 8 Folder to "C:\Users\Public\Pictures"
5) Open Explorer Navigate to "Sdcard/bstfolder/PublicPictures"
Install Apk Press done and Copy this folder "com.gameloft.android.ANMP.GloftA8HM"
7) Paste This Folder In "sdcard/android/obb"
i have installed in online method ,and started the game .. i am only able to hear background music ..no display of the game..only GAMLOFT logo appeared and vanished.. wat to do ..please help..
but i cant what i can do now ??? Check the description of YouTube video you will find the link.....Thanks For the comment. i have downloaded all files of asphalt 8 1.5 gb. but it is asking again to download files from blue stack store. please help me how i can run this on pc now. after doing all the things it says ''a network error has occured . try again''. and when i turn on the internet it says invalid licence.and my obb file deletes itself when the internet connection is turned on. please respond ASAP. This works. For those who say that this does not work, you are just dumb and don't even have basic computer knowledge. When i open game it shows all and in 3-2 sec all gets black only play,cup buttons i can see and car and if start a race it runs smooth and after going far the road becomes black i have rooted bluestacks version help me plz? Bluestacks is trash and take 100% CPU . This emulator even don't load the page for download Asphalt 8. You can play Asphalt 8 on Windows 8/10 /not sure for 8/, but you will have to say "Good Bye" to your privacy. The game automatically closes after displaying the message "verifying the files"